The day we first met, November 10, 2000. Six years ago today, I lost my sun, my moon and my stars. I said goodbye to a huge piece of my heart and the precious little soul who gave me a reason for being in this world. I said goodbye to my beloved Georgia. I dread this anniversary each year, and all throughout April, the 24th hangs heavy on the horizon. The weeks leading up to this date bring me back to the weeks before Georgia died and I replay those precious…and heartbreaking moments in my head. Each year it becomes easier to believe that we did all that we could in those final days, and that Georgia forgives me for not spending more time with her when I should have somehow known that our time together could be measured in hours instead of days, weeks or months. Each year, I see more blessings unfold because of that special moment in time when I first locked eyes with my beautiful angel. The moment when my heart stood still as I finally realized why I was put on this earth. I am continuously amazed at how much good has come not only from being Georgia’s mom, but also from her illness and death. It seems impossible to even comprehend. But, it’s true. Because of her, and because of our journey together through cancer, I found out how much strength I have, how precious life is, and how important it is to follow your heart and do what you love. 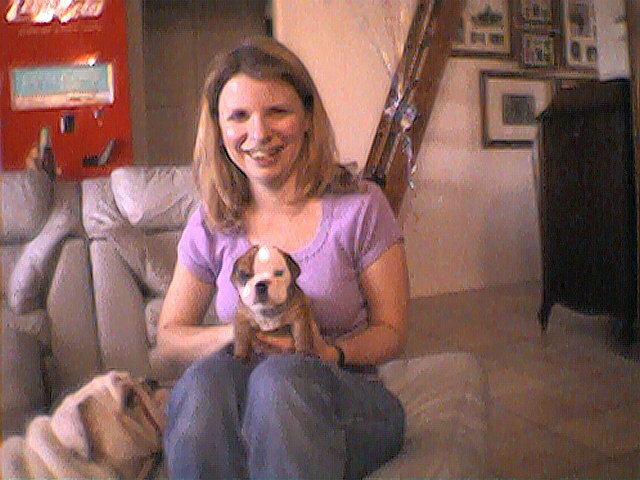 She led me to my closest friends, a new profession that I love, and a personal mission to help pets and their pet parents facing cancer and grief. Each day I experience a hundred different echoes of Georgia, and I am reminded that no matter how much time passes, she is never far from me. She is always in my heart and never far from my thoughts. She continues to inspire and motivate me in all that I do. I know that non-“animal people” will never understand that. But I don’t really care. It’s the truth, and I wouldn’t have it any other way. So, 364 days of the year I feel gratitude for my short time with Georgia and for the privilege of being her mom. And I work to honor her memory by learning to be happy and helping others of her kind. But on April 24, I still find a certain comfort in sinking into that familiar grief — kind of like putting on an old sweater. I mourn my little girl and the years we didn’t get together and I think of all of the things that I miss most about her – her soothing snores at night that sounded like a lullaby to me…the way she would wiggle to greet me and flop onto her back so I could give her hugs and belly kisses whenever I came home…her big brown eyes always following me whenever I was within sight…the way she would fly across the yard after her soccer ball and dribble it between her legs (really! )…the feel of soft bunny fur behind her ears…a million little things that I will never forget. Memories that are ours alone. So treasured. So perfect. I love you my beautiful baby girl, and I miss you today and always. 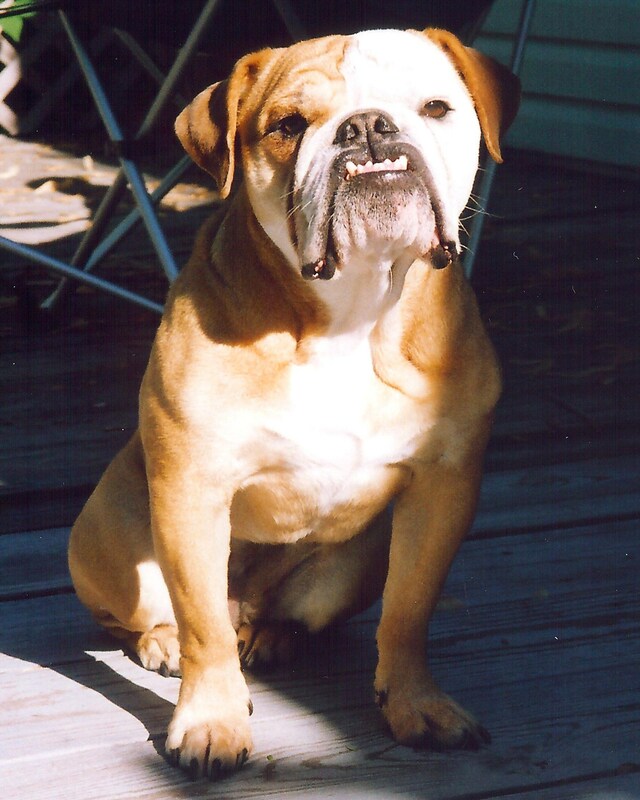 This entry was posted in Pet Loss / Grief and tagged Georgia's Legacy, pet loss. Bookmark the permalink. Thinking of your Georgia on her 6 year angel day. Clearly, you have done so much to honor her memory, and I am certain many have benefited from all you learned with your battles. I realize, however, nothing takes away the pain of the loss, and I’m betting that you would trade everything to have her back. You would not be alone in that thinking. Kerry you express your grief beautifully. Georgia’s heart is full of love at the Bridge. I will light a candle tonight in NY for your sweet girl.